Jeremy Broadhead, Commercial Manager at Heckmondwike, looks at what factors need to be taken into account when specifying flooring for sheltered housing or healthcare environments. There is specific government guidance on flooring requirements in healthcare, which includes primary care, hospitals and care home environments. The guidance focuses on how the flooring must be appropriate to the environment and should deliver better outcomes for the patient. Healthcare represents a particularly demanding sector of the market for flooring as it needs to meet a myriad of different performance requirements. Health and safety is an important factor to consider as some floor coverings can become slippery when moisture enters a building on people’s shoes, or via wheelchairs. It is therefore important to reduce the risk of accidents happening by selecting an entrance flooring product that removes moisture and grit at this stage, lessening the risk of injury to service users and visitors. The Care Quality Commission (CQC) guidance states that floor surfaces in entrance areas should be ‘slip and trip resistant and suitable for all weather traffic’. There should also be no ‘strips’ of flooring that could potentially be trip hazards. 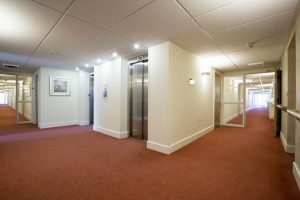 As well as preventing slips and falls, specialist entrance carpet, carpet tiles and mats also help to protect internal areas from unnecessary wear and tear, subsequent damage and the need for costly early replacement. Careful consideration should also be given to entrance matting as to where it should be positioned in order to maximise its impact. The guidance states that flooring should meet essential requirements for quality and safety. It should be sufficiently durable to be able to withstand potentially dangerous substances that are spilt on it. This includes not being degraded by detergents and disinfectants. Corbett Court, Burgess Hill. McCarthy & Stone. The chosen floor covering must be easy to maintain, so it is advisable to consult with maintenance teams prior to specifying the carpet. Regular maintenance helps to prolong the lifespan of a carpet and to manage any spillages. Durability is really important in the choice of flooring for healthcare environments as it needs to be able to last its planned lifecycle replacement period and with minimum maintenance costs. Heavy contract tufted carpet has long been known for its durability and is therefore suitable for high traffic areas, such as corridors. Another consideration is that the surface floor covering itself must be flat and therefore not a hindrance to wheelchair users or their carers. CQC guidance states that floor finishes should prevent leakage, with a fully impervious backing required. It is advisable to select a carpet that passes the Health Care Supply Council Test for Impermeability. 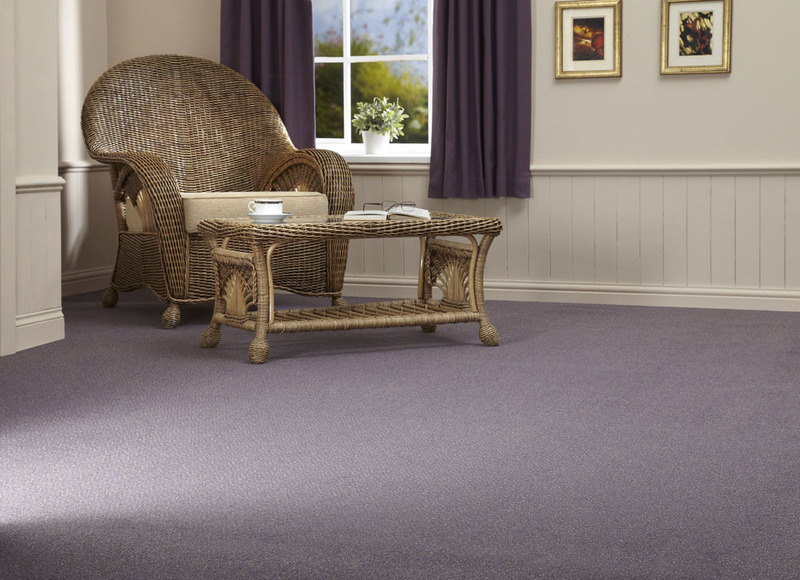 Carpet ranges like Pure Care and Total Care have fully impervious backing and are designed to be resilient enough to withstand today’s tough cleaning regimes. An aesthetically pleasing, well-designed and maintained environment can have a positive impact on the mental well-being of both residents, patients and staff. Aesthetics of a residential space also has an important role to play in caring for people with dementia, who may have difficulty with everyday tasks and activities. Floor design is particularly important in creating zoning and colour coding to provide visual prompts to assist those experiencing cognitive decline. Often care homes choose to colour code their floors in different levels to enable residents to identify with an area. Coloured floor tiles are often used to mark out exits or routes through to other parts of the building to ease navigation, therefore it can be important to choose a floor covering that has a wide choice of colours. A recent healthcare project Heckmondwike supplied was at the Tudor Lodge care home in Solihull, to upgrade the flooring in all of the facility’s communal areas. The care home opted for our Total Care carpets, which are highly resistant to staining and bleach and are also extremely durable. For this project, like many others in the care sector, it was important that colours were selected that encouraged feelings of calmness and relaxation. Carpet has always been known for its acoustic properties and this is particularly important in healthcare environments, to ensure residents’ rest and relaxation is not disturbed. 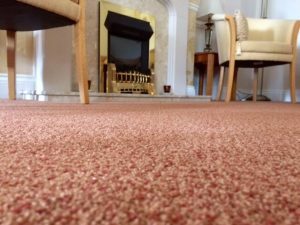 Carpet is also renowned for its thermal properties, as older patients often feel the cold, especially when they are less mobile. Sample cards for Heckmondwike’s Total and Pure Care ranges are available on request by visiting the website www.heckmondwike-fb.co.uk/samples.